The Foster Care Connect was set up in 2004. For over 30 years I have been fortunate enough to have worked with children in residential care and have led and managed staff teams which has been hugely rewarding. For 25 years, I worked at Kibble Education and Care Centre in Paisley, one of Scotland’s oldest charities. I worked in a range of services including residential care, day services, secure care and Intensive Fostering. I gained my Diploma in Social Work from Robert Gordon University, Aberdeen and I am a Registered Manager. The welfare of children and young people are at the heart of my work, and I am dedicated to helping children and young people reach their full potential and have positive life experiences. I joined Foster Care Connect as Director in July 2017. 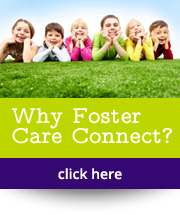 Foster Care Connect provides high quality, stable foster placements and I am immensely proud to be leading a very experienced, highly professional team and working with foster carers who are making a lasting difference to children’s lives. My qualifications include NNEB, qualified Nursery Nurse. I have a diploma in Social Work from Moray House/Heriot Watt University, and a post qualification in Child Protection. 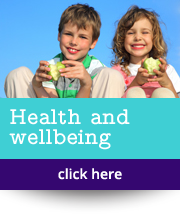 I am registered with Scottish Social Services Council. I have retail managerial experience and have undertaken voluntary work in within the Mental Health field. I have worked for 20 years as a Social Worker in Edinburgh both in residential and Practice Team. For the last 3 years, I worked as Senior Practitioner in East Edinburgh Practice Team. My career has always involved working with people. I have a Post Graduate Certificate Teaching Qualification in Further Education and have 20 years experience in supporting adult learners to reach their full potential in Further Education settings. I am a qualified Learning Disability Nurse and have experience of working with adults and children who have Additional Support Needs and their families, working in both Social Work and the NHS. I have a degree in Biological Sciences and I am currently studying for a MSc in Child and Youth Care Studies. We also work with a number of Form F Assessors – experienced social workers who carry out independent assessments of people who would like to become foster carers with us. 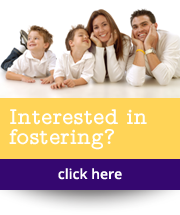 For opportunities to work for Foster Care Connect, see our Work With Us page.